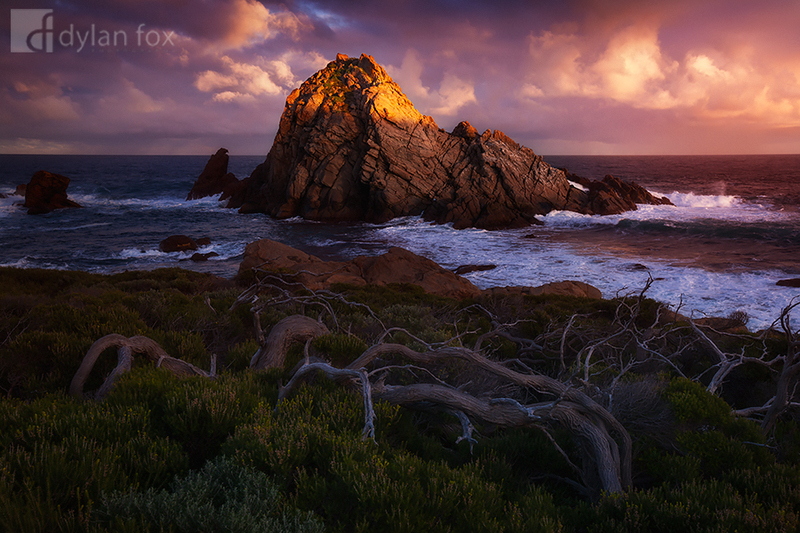 Sugarloaf Rock photographed as the first light of sunrise reaches its peak complimented by beautiful cloud formations. I had arrived down in Dunsborough the night before so did not have any light to look for new locations so decided to shoot Sugarloaf Rock again at sunrise and am very glad I did! Secure your limited edition, Sugarloaf Rock photographic print, 'First Touch', by selecting your desired print size in the menu to the right.